Do you hate when you have to tell a person they are right? Especially when the person is your boyfriend and the argument resulted from the difference of opinion on marriage. Days before I performed my duty, as a bridesmaid, my boyfriend and I decided to discuss our future marriage. During our conversation, I discovered it would be several years before we entertained the idea. Although his argument about becoming financially stable made perfect sense, I could not silence my emotions. Of course, I didn’t want to get married tomorrow, but with close friends saying yes around me I feared I could be the last one to get married. At the rehearsal, we went through the wedding three times. Afterwards, we all had to get fitted for our dresses. Everything took so much time. Even the smallest detail was crucial. My duty as a bridesmaid provided much excitement, but my energy levels were quickly depleting. That night I went home and went straight to sleep. I never realized so much practice went into making the perfect day… perfect. 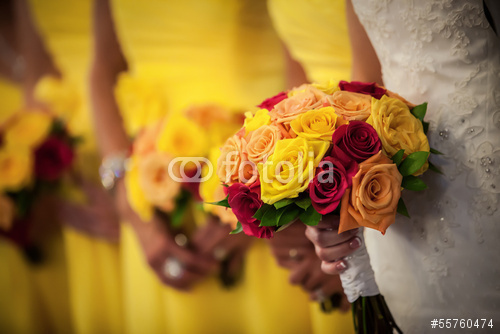 The following day –the day of the wedding—included several hours of preparation. As I got ready, I observed the bride closely. Everyone wanted her attention and pulled her in every direction. In trying to make everything perfect for her, they actually monopolized her time. It was her day, but in reality her day was only pure bliss the hour she stood at the altar and professed her undying love to her groom. During the reception, she could barely eat or converse with anyone for five minutes without someone wanting her attention. Everyone wanted to say something to the new bride. I’m not sure if she got a chance to go the ladies’ room. Slowly watching all this made me realize I was not ready to take this next big step. Watching the bride’s experience alone prompted me to question my anxiousness, but the expenses extinguished any anxieties: bridesmaid dresses, church expenses, the reception venue, catering for the rehearsal dinner and reception, the DJ and photographer, the wedding dress, flowers and decorations, hair and makeup. Oh and plus all the stuff the groom needs, but we never think about. Those are just things off the top of my head. I’m sure there is a lot more that goes into a wedding. As I stood at the front of the church crying at the beautiful scene taking place, I could not help but think about the senseless argument my boyfriend and I had. When I wasn’t wiping the steady flow of tears from my face, I exchanged quick glances with him. I was going to tell him he was right as soon as the ceremony ended. In that moment, with the day’s commotion that was all I needed to hear to stifle the anxiety that brewed into insecurities. Before he could explain, I told him there was no need. 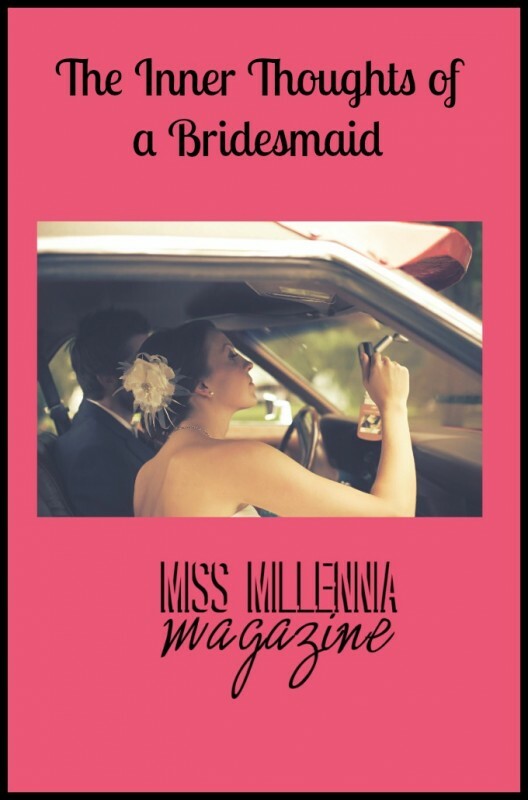 After all, after being a bridesmaid who wants to discuss a wedding?